In a shock report from the trustees for Social Security, government benefits like Medicare and Social Security are only eight years away from an insolvency crisis. And with health care costs rising faster than annual income and the specter of massive cuts in government benefits, U.S. retirees are facing the biggest dilemma of their financial lives. Thousands of retirees have already started cashing in. Tony Jantzen from South Dakota who is set to collect his check for $17,700. Brad Bollen from Wyoming who is set to receive a check for $58,184. Lisa Luhrman from Oklahoma who is set to cash an even bigger check for $66,570. These large checks may be an exception to the rule and the average income investor may expect more modest payouts. With $34.6 billion expected in payouts over the next 12 months, there is no end to the money that can be had from freedom checks. Under U.S. law, there are 568 companies authorized to issue freedom checks, many of which increase their payouts every year. One in Midland, Texas just increased their freedom check payouts by 76%, and another increased their payouts by 138%. “Great news. We have a surplus. Instead getting $2,800 a month (the average benefit for a two-earner home) you now get $7,000.” But with the looming insolvency crisis, it’s clear this would never happen. Which is why freedom checks are taking U.S. retirees by storm. 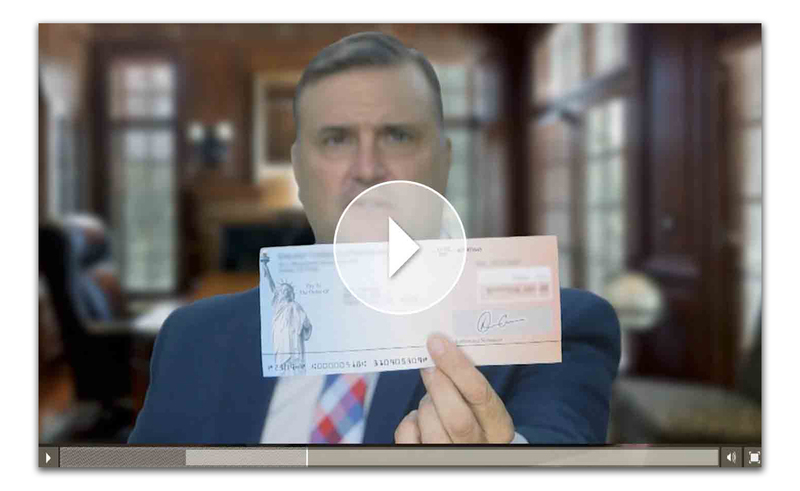 In a new video presentation, Matt Badiali shows how anyone can start collecting these checks no matter their age, income or net worth. And he also reveals why it is crucial you position yourself to maximize these payouts no later than July 13. It may be the most important thing you do all year.